2013 could very well end up being the year of the smartwatch – or at the very least, the year that several big names started developing their wristwatch. Pebble’s smartwatch is already in the wild, Apple’s pending iWatch is one of the worst kept secrets in tech and Samsung recently announced their smartwatch has been in development for some time. 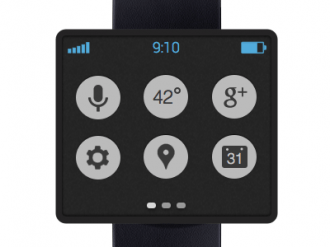 Reports are now circulating that Google is entering the race with a smartwatch of their own. According to a recent report from the Financial Times, Google is indeed working on a second wearable device – the first, of course, being Google Glass. The report says Google’s Android unit, not the experimental arm known as X Labs, is working on the device. What’s more, the watch will be something completely different than what Samsung is working on. The search giant’s version is said to be an extension of Android onto the wrist – whatever that means. No other details were given so we are left to draw our own conclusions until further rumors surface or Google announces something publically. With Google I/O just around the corner, we may very well hear something sooner rather than later. Of course, this isn’t the first we have heard on the subject as a patent for a smart watch including a flip up display was granted late last year but as you likely already know, the majority of patents are filed as precautionary measures and never see the light of day.